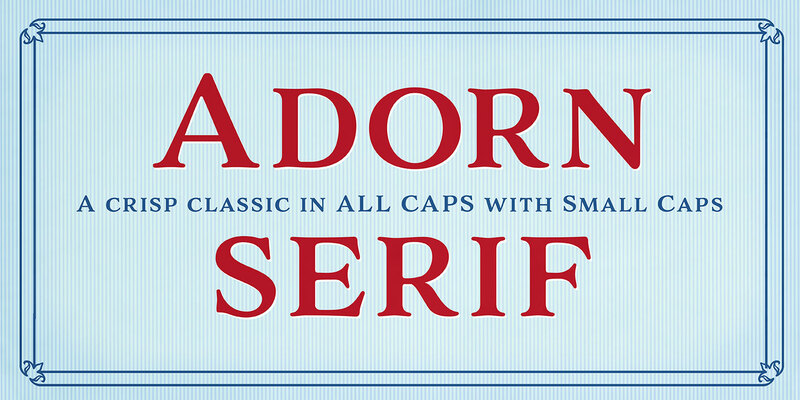 Adorn Serif breaks free from the slick and overly polished stock. Leaning toward a handmade authenticity, the letterforms were originally drawn by hand, and Worthington accentuates their irregularities and organic look in her design choices. A font family published by Laura on Tuesday, July 26th, 2016 that has 2,101 views so far.